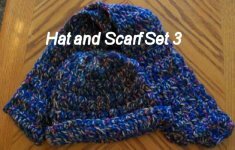 Here is just a few items I have made to sell. I hope to have more stuff soon. 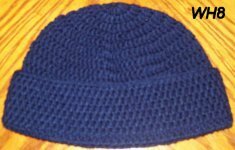 I want to let you know that I do take special order's so if their is something that you want made just e-mail me. 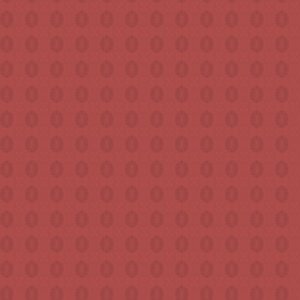 Hope you are enjoying your visit here at my site. To place an order send me an e-mail. Ohio residents needs to add sales tax to their total order for the county you live in. Today is November 2, 2011. 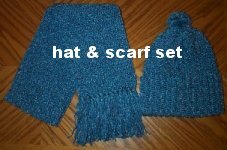 I have decided that I wanted to donate, hats, scarfs, mittens and socks to the needy. I will be doing it soon but I will add more as soon as I can. Might take me a little while but I will. Fits most heads. $10.00 each pair. Postage not included. 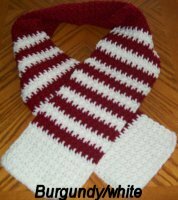 I will have more just as soon as I can get some made. 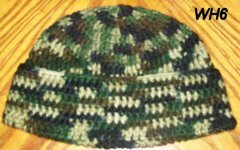 I am donating the one's that I have and will be making more plus using a different pattern that I like better. Fits most heads. $5.00 each. Postage not included. Child size of 2 or 3. The color is done in Grape. 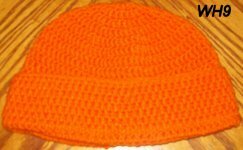 Price for one is $15.00. Postage not included. 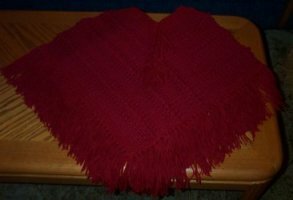 The cape is made using a varigated yarn. 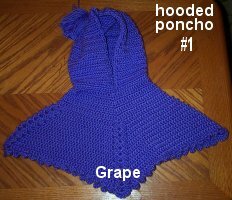 Price for this girls cape is $40.00. Postage not included. 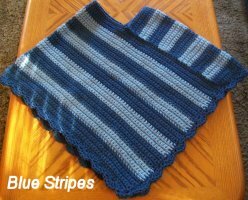 Blue Striped kids poncho. 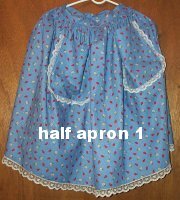 Price is $40.00. Postage not included. 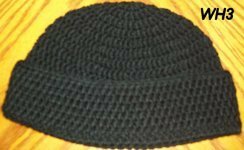 Price for one pair of these is $8.00. Postage not included. Will try to have more just as soon as I can. Will try to have more as soon as I can. Price for one pair of these is $18.00. Postage not included. 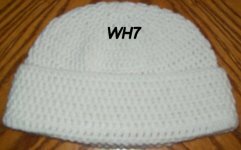 Price for one of these hats is $10.00. Postage not included. 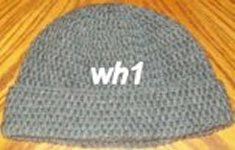 Price for one of these hats is $8.00. Postage not included. 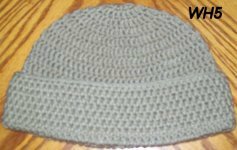 Prices start at $20.00. Postage not included. 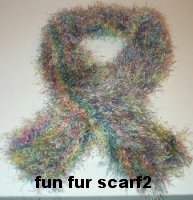 Price for this scarf is $10.00. Postage not included. 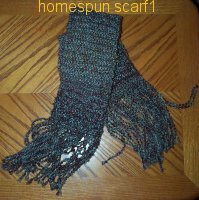 This scarf is made using Homespun yarn. It is really soft and to me it is warm. Measurement is about 52" long. Price is $20.00. Postage not included. 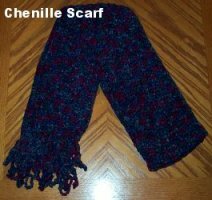 This scarft was made using Chenille yarn. Price is $20.00. Postage not included. 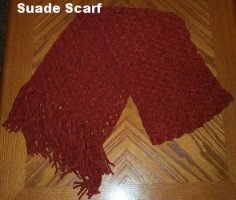 Made out of Suade yarn. 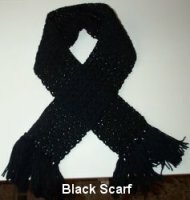 Price for this scarf is $45.00. Postage not included. 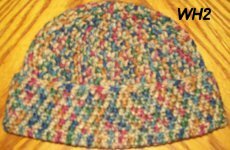 This one is made with a chunky yarn. 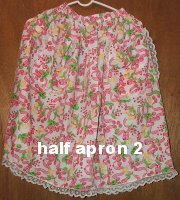 Price is $25.00. Postage not included. Most of thse socks and slippers are $18.00. I will add more just as soon as I can. These are just for show for now. I am out of some of these and will get more added as son as I can. 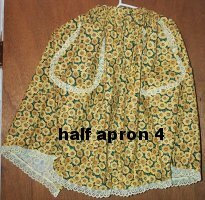 Price for one of these half aprons is $16.00. Postage not included. 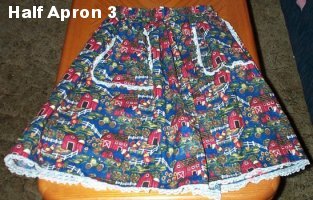 Price $12.00 for one of these regular aprons. Postage not included.